Surprising your family or guests with something sweet and meaningful is such a joy! 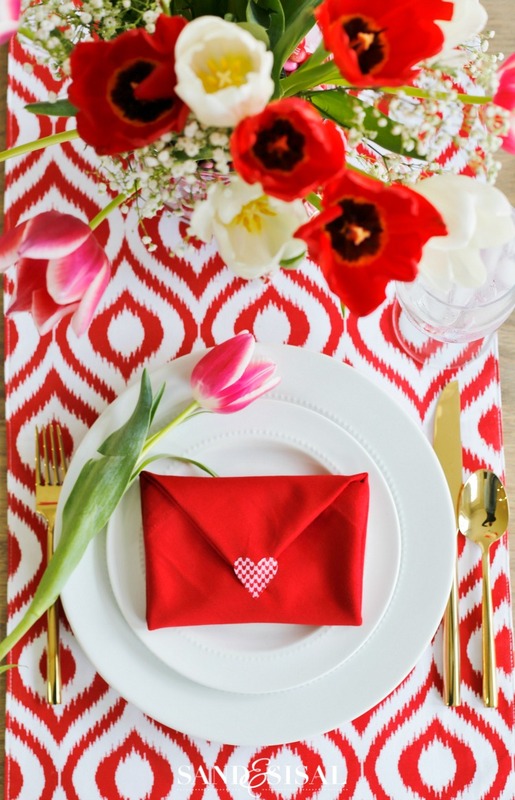 Today I want to share a super simple and easy Valentine Envelope Napkin Fold with video tutorial with you! If you saw my Christmas Tree Napkin Fold then you will LOVE this napkin folding technique, it’s even easier! 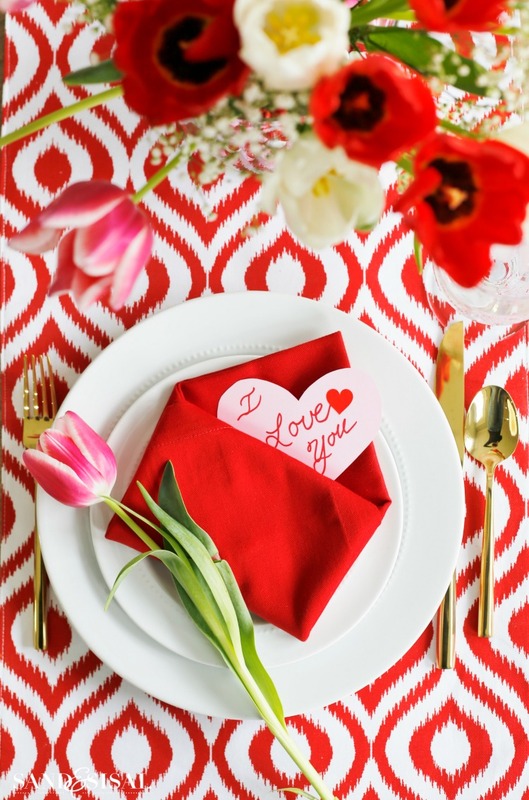 Watch my YouTube Video below to see how quickly you can create this pretty little Valentine Envelope Napkin Fold. In under a minute you can create a meaningful and memorable moment when your friends or loved ones open up their envelope napkins and read the sweet words that let them know how special they are to you. I created a heart card for each one of my family members that says I Love You. But on the backside of the heart I wrote WHY I love them and what I appreciate most about them. Sometimes it’s just the little things that can encourage others. This year I’m challenging myself to be more encouraging and postitive and try to verbally and creatively show others what they mean to me. I hope you like the video. If you do, please feel free to give it a “thumbs up”, a like, a share, etc. Spread the love! 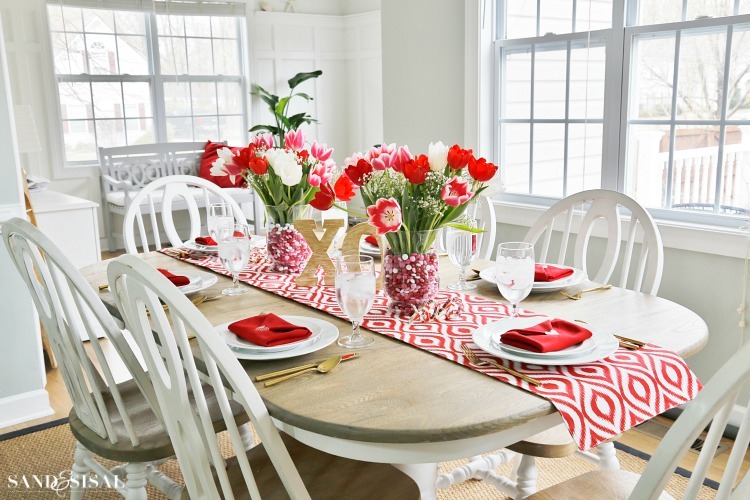 Check out more easy, pretty and practical Valentine’s Day decor ideas HERE. Hi! I’m hoping I can email subscribe to your beautiful blog, but I didn’t find the spot. Thank you so much!! It’s all gorgeous! Hi Melody! Thank you for the sweet comment! The subscription box is right below my photo on the left sidebar (viewable from a computer). Or from a cell phone you can click on the orange colored RSS button right below my logo. Hope that helps!